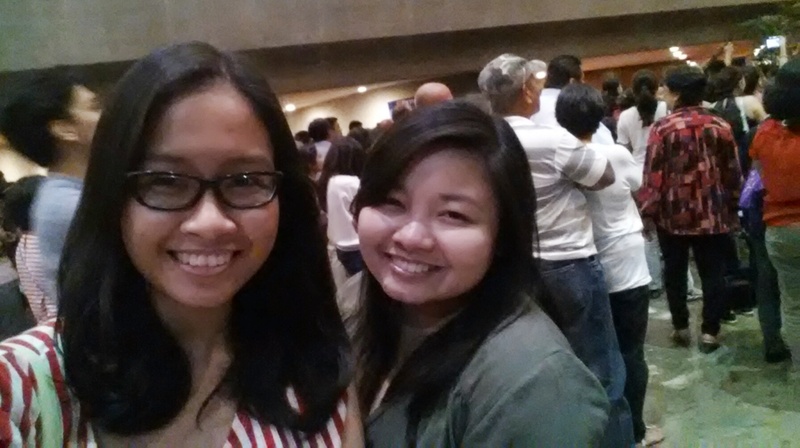 I just got home from a sister date (aka thank you, @giannamhere, for the tickets and for dinner). We watched another ballet show and this time I can say I really enjoyed it! 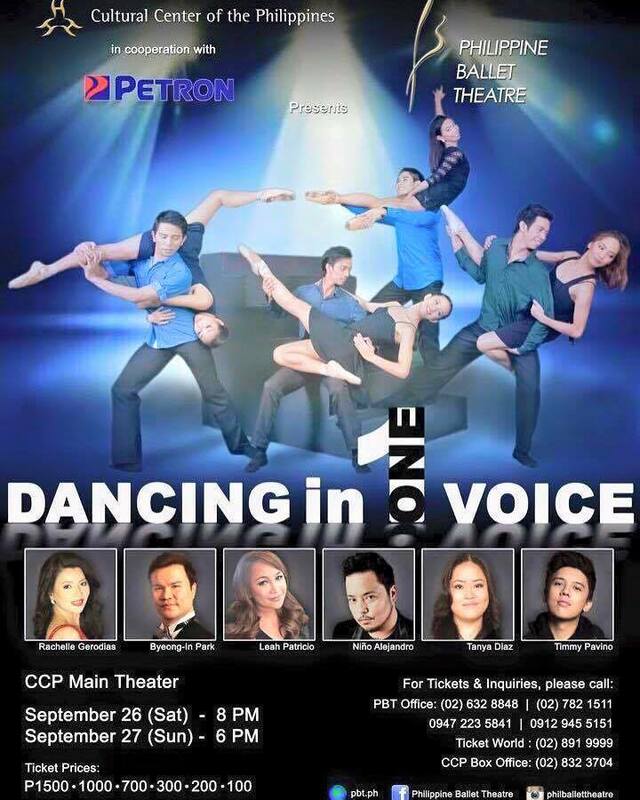 The Cultural Center of the Philippines in cooperation with PETRON presents Philippine Ballet Theater in ‘DANCING IN ONE VOICE‘, sound in motion for the Arts & Education, a dance benefit concert featuring guest artists opera singers Rachelle Gerodias and Byeong-in Park, and the Voice Season 2 finalists Lea Patricio, Tanya Diaz, Niño Alejandro and Timmy Pavino. Visit www.pbt.ph or TicketWorld. Aside from YouTube performances of Swan Lake and Sleeping Beauty, I’ve watched only one ballet performance in my entire life (I think) before tonight. 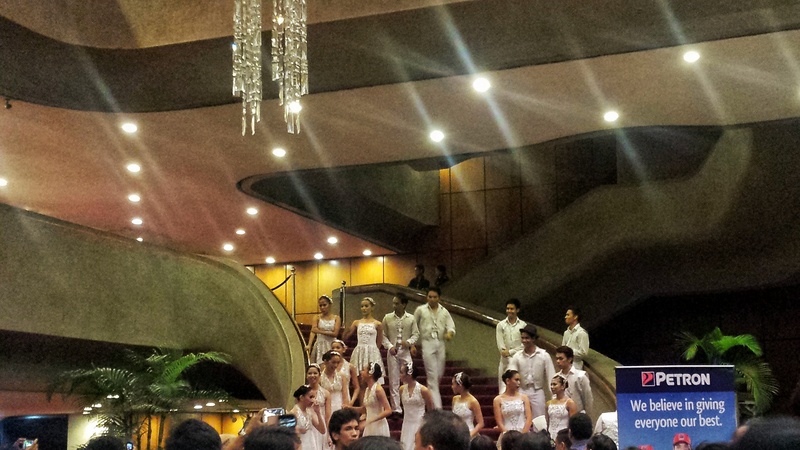 It was a staging of The Nutcracker, also by Philippine Ballet Theater and also a treat from my sister. I can’t say I loved it; maybe I was seated at a wrong angle or the story was too… traditional? static? I didn’t appreciate ballet then. But I do appreciate it now. I really, really do. Dancing in One Voice reminded me how beautiful the human body is, how unbelievable it was that we have this thing called dance, how we could invent art and reinvent it. I have no technical head for ballet or dance, but I knew that what I was watching was amazing. I wanted to shout “bravo!” at every impossible twist and turn. To be honest, it might not even have been the dancing itself that sold me to the performance. I think it was the combined medium of song, dance and art that drew me in. The theme of the show wanted to argue ‘art as a journey in feeling’, and in that performance it was. I was moved by the first song and transfixed by the first dance (set to the soulful song “The Prayer”). The dancers were so graceful. More than that, the production was a deconstruction of what I thought ballet was. As I said, I didn’t like The Nutcracker much because I felt both the dance and the audience were too solemn. I felt like I was enjoying something too sublime for my aesthetic preference; I thought technique was all ballet was about. But Dancing in One Voice was a concert-style performance, and that meant a variety of relatable themes, songs and dance numbers. Imagine our surprise when a contemporary song —Take Me to Church– began playing. It was preceded and followed with many more unexpected numbers, all of them telling a compelling story. The feeling of connectedness I got from the dances allowed me to see the things I missed the first time I watched ballet: the intricacies of the steps, the strength of the dancers, the feeling conveyed in every choreographed move. I think this time I can watch The Nutcracker with newfound appreciation. Anyway. 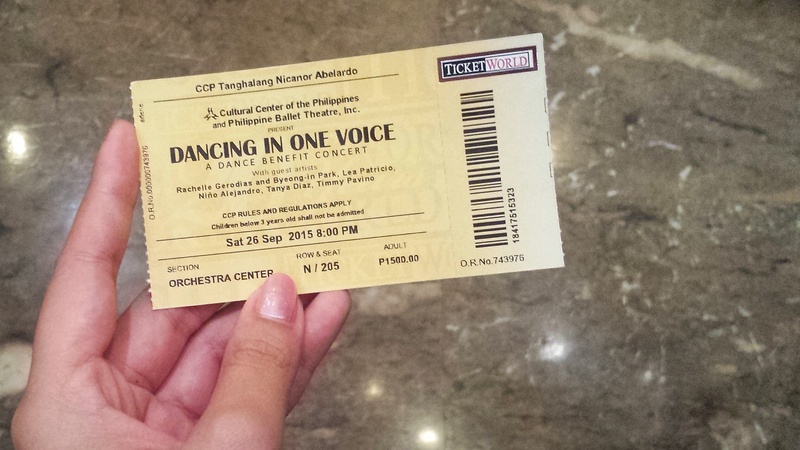 I was really surprised by the affordability of the play, given that the best seats are sold only at Php1500. I hope I get more opportunities to watch ballet in the future. Watching ballet is one of those rare experiences that can leave you breathless with awe. More importantly, I also hope that ballet becomes more and more popular here in the Philippines. I feel like we’re all missing out on this wonderful art form. 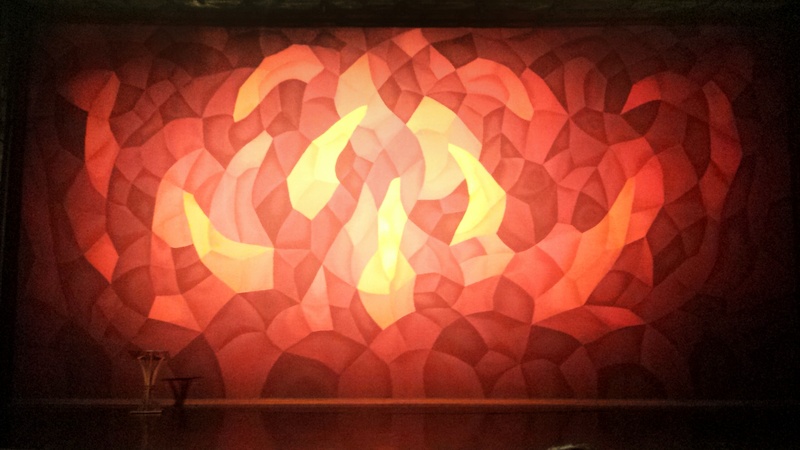 Kudos to everyone involved in this production! Me and the awesome sis!